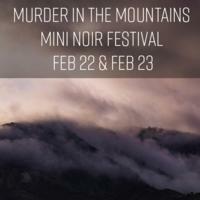 Details: FRI FEB 22 & SAT FEB 23 Murder in the Mountains Mini Noir Festival A thrilling weekend celebrating all things murder and mystery, including author conversations, a live panel exchange with Scottish crime writers, mystery writing workshop, youth forensic workshop, film noir showing, “Noir in the Bar” event, and more! A full schedule and details can be found at www.crestedbuttearts.org/literaryarts. Prices & times vary. 9:00am-12:00pm The Art and Skill of Introductions Crested Butte Library 504 Maroon Avenue.